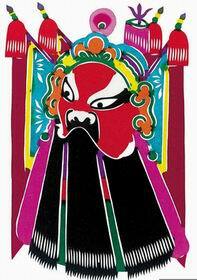 One of China's most popular folk arts is paper cutting. Archaeological finds trace the tradition back to the 6th century; it is supposed that the beginnings of paper cutting were even a few centuries earlier. Paper cuttings are used for religious purposes, for decoration and as patterns. Sichuan, located in west China, is known as the "Land of Abundance", not only rich in rice and also famous for its sericiculture. Longquan Sword (also Seven-star Sword), produced in Longquan region of Zhejiang Province in East China, is well known both at home and abroad. It is renowned for its durability and tensility, which is achieved by optimally integrating the metal's softness with its hardness. In its perfect sharpness, Longquan Sword glitters coldly with exquisite, decorative workmanship. Lacquer is a natural substance obtained from the lacquer tree which has its home in China, a country still leading the world in lacquer resources. Much of the country is suitable for growing the tree, but most of the output comes from five provinces-Shaanxi, Hubei, Sichuan, Guizhou and Yunnan. 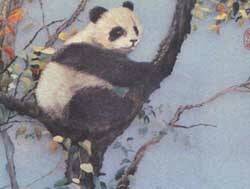 Jiangxi is the home of Chinese porcelain and Jingdezhen has been the Porcelain Capital of a Thousand Years of China. Jingdezhen porcelain is the pearl in the treasure house of Chinese art and culture. 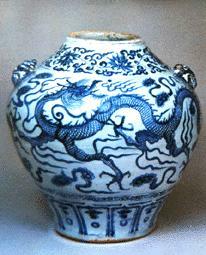 Among its products, the most representative one is the blue and white porcelain.